It’s no secret that the U.S. national debt is in the tens of trillions. But did you know that America also has future unfunded obligations of over $120 trillion? Unfortunately, America’s politicians have no plan to solve our mounting fiscal and monetary crisis. But you don’t have to watch this unfold in fear of your financial future. The time for debate is over… It’s time to prepare! 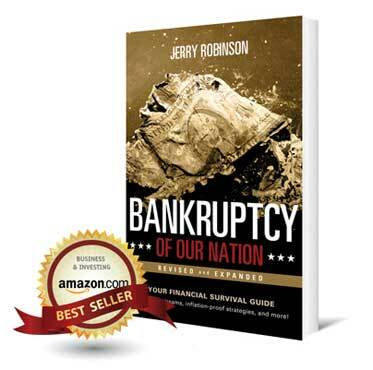 In this revised and expanded release of Bankruptcy of Our Nation, Jerry Robinson offers you the ultimate financial survival guide. Robinson, an Austrian economist, columnist, and radio host, is featured weekly on WND.com, quoted by USA Today, has appeared on Fox News, and has written columns for Townhall and FinancialSense. – The 21 income streams you can create now… and in retirement. – How to create a diversified six-month liquid savings reserve that uses stable foreign currencies and precious metals to protect against creeping inflation. 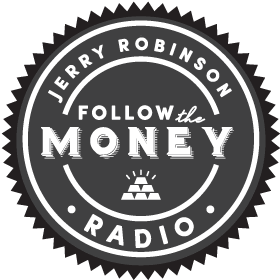 – And the 5 Levels of Financial Freedom that Jerry has personally used to build true wealth and create complete financial security. This is the book that you have been looking for to understand and profit from the U.S. economic crisis! 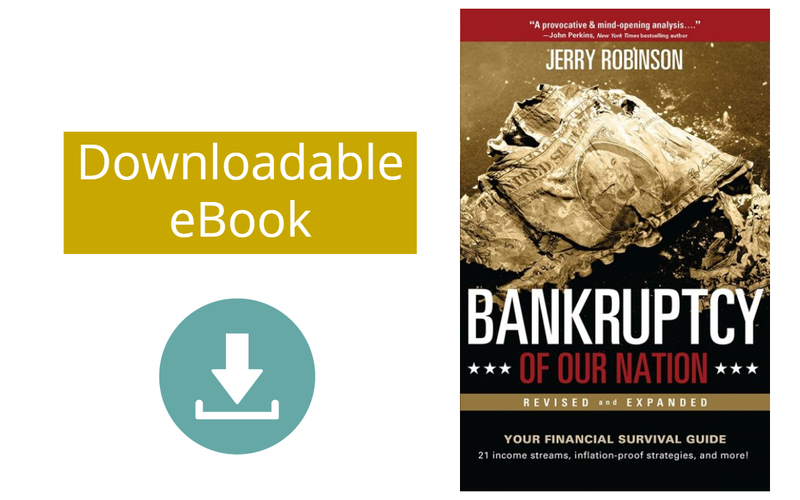 This groundbreaking book combines deep economic insights and specific financial strategies. It will arm you with the knowledge and tools that you need to protect yourself and your family from the dangerous financial events that lie ahead. Downloadable format is PDF. Viewable on any device. Published 2012 by New Leaf Press.